Steam combi-ovens are modern equipment for large kitchens, and they can replace several traditional appliances. 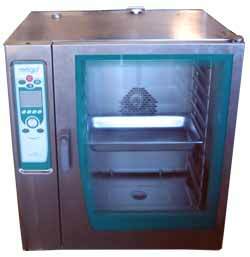 The combi-oven works on the principle of a hot-air oven with the generation of steam. The hot preparation of food occurs in the cooking cabinet, where hot air evenly circulates thanks to the ventilator fan.